Over 6,000 bills were filed in the 84th Texas Legislative Session, creating a massive challenge even to monitor which ones could impact family farmers and local food producers. Getting good bills passed meant fighting heavy odds; only about 1,300 bills actually passed and were signed by the Governor. The local food movement achieved some important victories, both in passing good bills and in fighting bad ones, on issues ranging from community gardens to water. There were also several disappointments, and many challenges left to work on during the next year and a half in preparation for the next session. Each year, we build more strength to work for the changes we need. Note: We have included the names, parties, and hometowns of all the legislators who sponsored these bills — both good and bad. If your Representative or Senator is listed, please take a moment to call or email their offices and thank them or express your disappointment, as appropriate. It’s important that the legislators know that their constituents are paying attention and will remember their actions. WATER: One of our greatest victories was in killing a bill that threatened the future of water in our state . SB 1907/ HB 3298 would have spent $2 million on a study for how to establish a statewide water marketing and conveyance grid. This was designed to enable massive water transfers from rural areas to urban to promote unbridled growth for the benefit of developers and a few other businesses. The bill did not even mention conserving water, ensuring that water resources are maintained for long-term use, or considering the impact on the future of the areas from which water is taken. 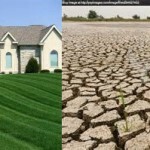 In the long-run, this approach is bad for both rural and urban areas – destroying the viability of rural communities whose water is taken, and setting the stage for far more drastic measures that will be needed if urban areas do not learn to conserve water now. This lesson is all too apparent in California, and we should learn from their mistakes! Water transfers just postpone the day of reckoning. We need to address our water issues before our aquifers have been drained and our rural communities destroyed. We were up against the electrical industry, the oil and gas industry, and more, but we prevailed! You can see the list of witnesses at the Committee hearing here. Special thanks to Independent Texans, the League of Independent Voters, Environmental Stewardship, and the Sierra Club for their work to stop SB 1907/ HB 3298. The sponsors of this bad bill need to be held accountable. If you live in their districts, be sure to tell them that you won’t forget what they tried to pass! The sponsors were Senator Charles Perry (R-Lubbock) and Representatives Larson (R-San Antonio), Frank (R-Wichita Falls), Lucio III (D-Brownsville), Kacal (R-College Station), Keffer (R-Eastland), and Villalba (R-Dallas). FOOD SAFETY REGULATIONS: HB 1846 requires the Texas Department of State Health Services (DSHS) to publish on its website any cooperative agreements with the FDA to implement new federal food safety regulations. The agency must solicit comments on the agreements and respond to them. “If an interested person requests that the department decline to receive future federal funding from the grant or contract, the department shall consider the request and determine whether the benefits of the grant or contract outweigh the person’s concern.” This is, in essence, a transparency and accountability bill that will allow Texans to have a voice in how our state agency is involved in implementing the massive new federal regulations that will be issued under the Food Safety Modernization Act. Thank you to Representative Susan King (R-Abilene) for filing the bill, Senator Rodriguez (D-El Paso) for sponsoring it in the Senate, and Senator Kolkhorst (R-Brenham) for signing on in support. 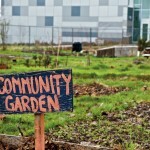 COMMUNITY GARDENS: HB 262 will expand land available for community gardens by limiting landowner liability. 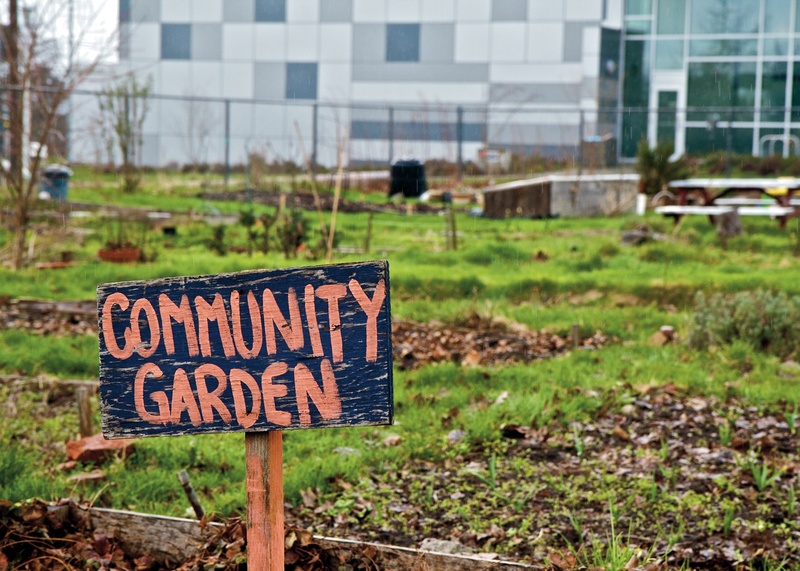 One of the major barriers to community gardens is access to land. Many landowners have vacant lots that are not currently in use that could be a significant benefit to the community. HB 262 protects landowners fromliability if they allow their land to be used for community gardens, absent willful, wanton or grossly negligent conduct by the landowner. Thank you to Representative Borris Miles (D-Houston) for filing the bill, Senator Creighton (R-Conroe) for sponsoring the bill in the Senate, and Representative Eddie Rodriguez (D-Austin), Representative Farrar (D-Houston), and Senator Zaffirini for signing on (D-Laredo). GROUNDWATER: HB 3163 protects Board members of a groundwater conservation district from being sued in their personal capacities. This is an important bill because water marketing companies have started to use the threat of suing Board members – most of whom serve as volunteers – to try to intimidate these public servants. Under HB 3163, a district board member is immune from suit and immune from liability for official votes and official actions. Congratulations to the League of Independent Voters, who spearheaded this effort! Thank you to Representative John Cyrier (R-Bastrop) for filing the bill, Senator Watson (D-Austin) for sponsoring it in the Senate, and Representative Isaac (R-Dripping Springs) for signing on. AGRITROURISM: SB 610 protects farm businesses by limiting liability for agritourism activities. 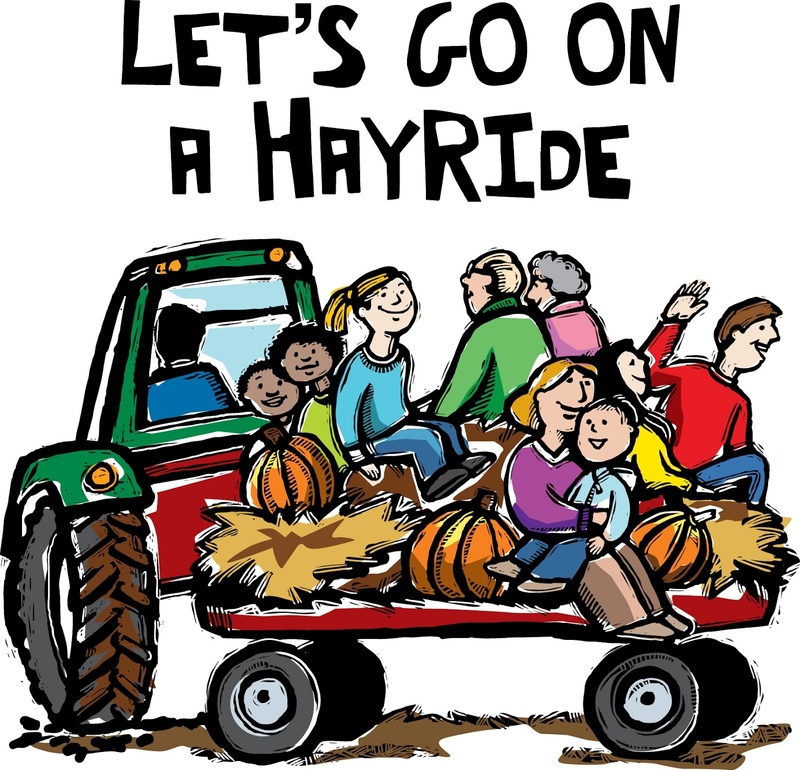 Hos ting recreational or educational events on farms is a wonderful way for farms to generate additional income, but concerns about liability often deter farmers. The reality is that, on a complex outdoor setting such as a farm, there are inevitably some risks. 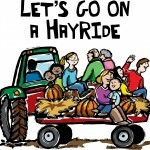 SB 610 provides that an “agritourism entity” is not liable for injuries arising out of such an activity if there is proper warning posted or a written waiver is signed, unless the entity acts negligently or the injury arises from a dangerous condition existing on the property, a dangerous animal, or improper employee training. Thank you to Senator Perry (R-Lubbock) for filing it and Representative Murr (R-Junction) for sponsoring it in the House. HONEY: SB 1766 will allow very small-scale beekeepers to sell their honey without requiring a commercial kitchen. Individuals who own and manage their own hives entirely by themselves or with the help of immediate family members could sell up to 2,500 lbs of their honey directly to consumers at their home, farmers market, farm stand, or at a municipal, county, or nonprofit fair festival, or event. In effect, this is a mini-cottage food bill just for honey. Thank you to Senator Creighton (R-Conroe) for filing it in the Senate, Representative Metcalf (R-Conroe) for sponsoring it in the House, and Senators Kolkhorst (R-Brenham) and Nichols (R-Jacksonville) for signing on. RAW MILK: HB 91, which would have allowed licensed raw milk farmers to sell at farmers’ markets and through delivery, passed the House with a very strong bipartisan vote of 122-14., Senator Lucio (D-Brownsville) h eld a hearing on HB 91 on Memorial Day and promised, on the record, that the bill would get a vote that day – and then broke that promise, leaving the bill to die. At the hearing, Senator Nichols (R-Jacksonville) was very hostile towards the bill, misreading its provisions. As always, we faced stiff opposition from the conventional dairy industry, whose representatives showed no hesitation in their testimony in either lying or displaying extreme ignorance (by claiming that raw milk isn’t tested more than once or twice a year, when it is in fact tested at least 9 times per year under state law). The Pediatric Society also testified, and displayed similar ignorance, claiming that the health benefits of raw milk could be achieved simply by popping a probiotic bill – although none of the published, peer-reviewed studies that have found benefits in consuming raw milk made any such assertion. Unfortunately, political influence and fear-based rhetoric prevailed over the facts again. 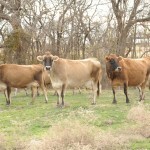 On the positive side, this is the furthest that the raw milk bill has ever gone in the Texas Legislature. The strong vote in the House provides hope that, if we continue to build the movement in the coming year and a half, we may finally reach the tipping point on this issue. You can see how your Representative voted on HB 91 here. Special thanks to Representative Dan Flynn (R-Van) for tirelessly championing the raw milk bill, as well as his joint and co-authors: Eddie Rodriguez (D-Austin), James White (R-Hillister), Susan King (R-Abilene), Dennis Bonnen (R-Friendswood), Pat Fallon (R-Frisco), Abel Herrero (D-Robstown), Bryan Hughes (R-Mineola), Phil King (R-Weatherford), Stuart Spitzer (R-Kaufman), and Bill Zedler (R-Arlington). Special thanks also to Senator Uresti (D-San Antonio) who sponsored the bill in the Senate. WATER: HB 632, by Representative David Simpson (R-Longview), would have required that water projects to be built in one region for the benefit of another region, be approved by a vote of 2/3 of the regional water planning group for the area in which the water project would be built, before that project could be included in the state water development plan. In other words, HB 632 would have given an area that would be affected by a planned project – such as through the loss of farmland due to the construction of the reservoir – a voice in whether that project should be included in the state water plan. The state water plan serves as a guide to state water policy and includes recommendations for changes to our laws to facilitate water transfers. After the bill did in committee, Representative Simpson attached it as an amendment to another bill on Memorial Day, triggering a heated debate on the House floor. You can watch the archived video here (select 5/25/15 and fast forward to 6:48 in the video). The debate centered on an amendment by Representative Sheets (R-Dallas) to strip Representative Simpson’s provision back out. You can see how the Representatives voted here (scroll down to the bottom; a vote YES on Amendment 3, which stripped Rep. Simpson’s amendment, means that the legislator voted to allow one region to determine another region’s fate, over the affected region’s objections). The legislators who opposed Representative Simpson’s amendment made it clear that they oppose local control over water resources in general, so we can predict that there will be attempts next session to make it even harder for local regions to protect and preserve their natural resources. FAIR REPRESENTATION: HB 809, by Representative James White (R-Hilliser) would have provided a voice for small-scale livestock and poultry owners at the Texas Animal Health Commission (TAHC). The TAHC regulates all livestock and poultry in this state, from the largest feedlots to backyard chickens, yet there are currently no Commissioners who represent small-scale producers. HB 809 would recognize that small-scale producers should have a seat at the table in discussions about animal health. There was strong citizen support for the bill during the House Agriculture Committee hearing, but because of the opposition by Agribusiness groups such as the Texas Farm Bureau and Texas & Southwestern Cattle Raisers (which has members filling 7 of the 13 Commissioner seats! ), the Agriculture Committee never voted on the bill. EMINENT DOMAIN: Property owners are often forced to accept unfairly low compensation for their land in eminent domain cases because they cannot afford the legal costs to challenge the offer through litigation. Condemnors are aware that property owners can rarely afford litigation and take advantage of property owners by “low-balling” their offers — offering much less than the property is actually worth. SB 474 would have required equires condemnors to reimburse property owners for attorney’s and professional fees in eminent domain proceedings where it is determined that the condemnor’s lowest offer for the property is 20 percent or more lower than the amount determined by a special commissioner or other court. This bill would have discourages low ball offers, as well as ensuring that a property owner who fights unfair offers in court has a fair recovery. It passed the Senate, but then died in the House when Representative Joe Deshotel (D-Jefferson) , chair of the Land & Resource Management Committee, left it pending instead of giving it a vote. Thank you to Senator Lois Kolkhorst (R-Brenham) for filing the bill, and Representative Burkett (R-Sunnyvale) and Fallon (R-Frisco) for filing companion bills in the House. HEMP: HB 557, by Representative Joe Farias (D-San Antonio), would have allowed hemp to be grown for research purposes. Hemp is completely legal to use in the United States; you can buy hemp products of all types in the stores. Yet it remains illegal to grow. HB 557 was passed committee and was placed on the House calendar, but ran out of time for a vote. HB 1322, which would have allowed the commercial cultivation of hemp by farmers, never made it out of committee. SB 786, by Senator Zaffirini, would have created an ombudsman position to help small farmers and food businesses navigate the regulatory maze; Senator Perry, chair of the Senate Agriculture Committee, never gave it a hearing. HB 2600, by Representative Eddie Rodriguez and co-authored by Representative Hughes, would have expanded the ability of people making food in home kitchens to sell more types of foods at more locations; Representative Myra Crownover (R-Denton), Chair of the Public Health Committee, never gave it a hearing. These losses are deeply disappointing. They represent lost opportunities for farmers, consumers, and our communities to provide greater access for healthy local food, economic opportunities for small businesses, and fair government representation. But the political process does not change overnight. Just a few years ago, getting such bills through even part of the legislative process (or, in some cases, getting them introduced at all) would have been impossible. We are making progress and will continue to do so as long as we remain committed. RIGHT TO FARM: HB 132, the “Right to Farm” bill, died without ever having a committee hearing. FARFA opposed HB 132 as filed because it went too far and prioritized certain individuals’ property rights over others’ rights. We discussed an amendment with the bill sponsor to modify the bill to protect all types of farmers and property owners from over-reaching regulations, and were told that the amendment would be introduced in committee. Since the bill never got a hearing, the issue was never settled. You can read more about our concerns with Right to Farm legislation at http://farmandranchfreedom.org/right-to-farm-survey/ We will continue to work to protect farms from over-regulation, without harming the rights of neighbors (both farmers and nonfarmers). FOOD HANDLER REGISTRATION FEES: SB 582 passed; it prevents local health departments from charging people fees simply to register their food handler’s certificate (after having had to pay to take the food handler’s course). Under the bill, a food service worker trained in a food handler training course accredited by the American National Standards Institute is considered to have met a local health jurisdiction’s training, testing, and permitting requirements. The bill has no effect on cottage food producers, since they are specifically exempted already from having to register with local authorities. CO-OP VEHICLES: HB 75 also passed; it prevents local farm co-ops from incurring fines for lending their farm vehicles to fellow farmers. Texas farmers can get a special license plate that exempts them from having to register their vehicle and equipment when used exclusively for farm purposes. Previously, however, the exemption did not extend to farmers who are members of local farmers’ cooperatives through which they are able to rent or borrow (rather than purchase) vehicles and equipment. Without the exemption, when co-op farmers used state highways, they faced possible fines for lack of proper registration for the vehicles and equipment. HB 75 extended the exemption for personally owned farm vehicles and equipment to co-op-owned equipment that is lent or leased to its member farmers. 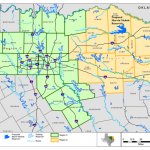 LOCAL CONTROL: HB 540, by Representative Phil King, would have allowed the Texas Attorney General to block any local ballot measure from even being voted on. In a victory for local control and the proper structure of our government, it was left pending in committee. However, HB 40, by Representative Darby, which removed essentially all local control of the oil & gas industry, did pass. CRIMINAL PENALTIES: SB 970, by Senator Perry and Representative Kacal, passed and provides the Texas Animal Health Commission with greater authority to seek criminal penalties under certain circumstances. 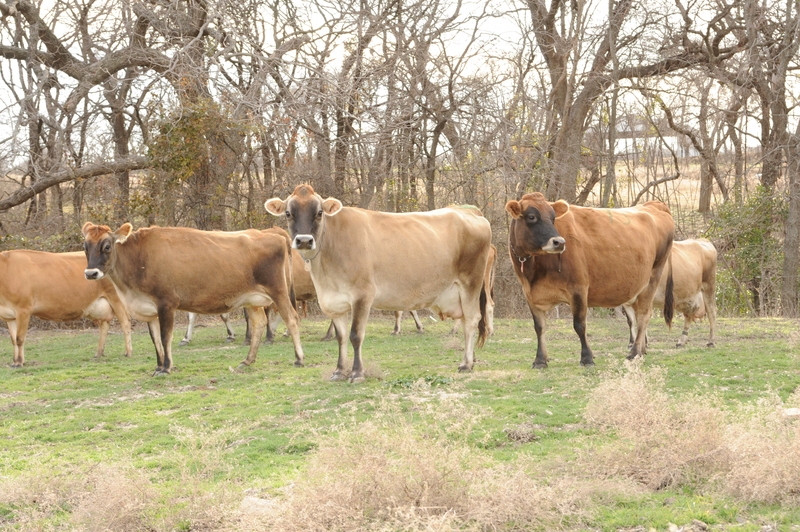 As originally filed, the bill would have enabled the agency to seek criminal penalties if a person moved an animal in violation of agency regulations – which could cover even such activities as selling a dairy cow without the required ID tag! We worked on an amendment, which was accepted by the bill authors, that limits the TAHC’s ability to seek criminal penalties to situations in which the animal was exposed to a disease or is subject to a testing requirement due to a risk of exposure, if the TAHC has notified the person of the requirement. This limited the bill to situations in which a true health risk is involved and the person being charged had actual knowledge of the facts and law. HB 2704 by Representative Tracy King (D-Batesville) would have removed the requirement that the Texas Department of Agriculture prove that someone had “knowingly” violated the law relating to the sale, use, or possession of an incorrect weighing or measuring device, both for administrative penalties and criminal. Senator Perry (R-Lubbock) sponsored a companion bill, SB 1909. FARFA testified against both bills, which ultimately failed to pass. MILK: HB 3129 would have required anyone transporting milk to get a $500 annual permit. Again, we worked with the bill sponsor and clarified that the intention was to allow overweight eighteen-wheelers to get a special permit. The bill never got out of committee and died with the end of session. We will work next session to ensure that it is properly drafted and does not impose any new requirements on small farmers or milk co-ops. WATER: There were several more bad water bills filed that FARFA opposed, which all died. As originally filed, HB 3324 by Representative Lyle Larson (R-San Antonio) would have eliminated any consideration of the impact on the basin of origin when someone seeks a permit to move surface water from one area to another. The bill as amended in committee to only do so in narrow circumstance, and it ultimately died completely. 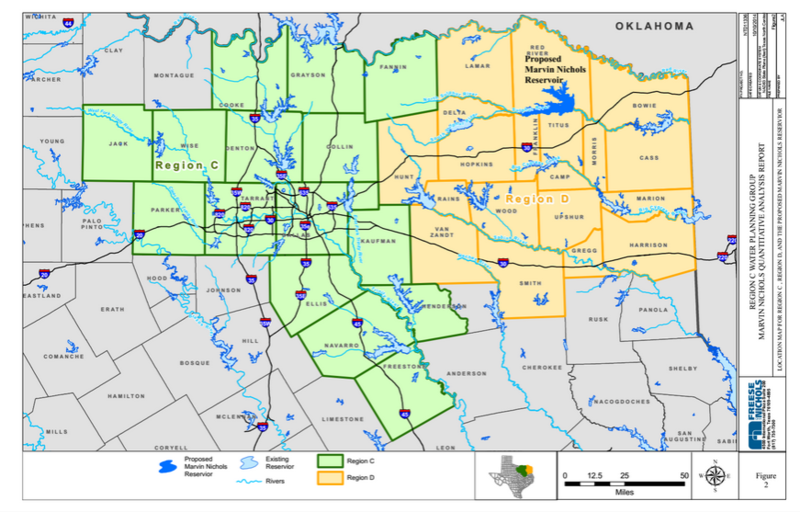 HB 3597 by Representative Keffer (R-Eastland) would have done very similar damage in the groundwater arena, removing the existing considerations of whether the receiving area is conserving water, the impact on the aquifer from which the water will be taken, and the impact on water availability in the district from which the water is being taken. Last, HB 3803, also by Keffer, would have prevented any consideration of economic or social impacts, or impacts on natural resources, in addressing interregional conflicts in the state water plan. Just like the water grid bill, the underlying goal was to make it easier to enable large-scale water grabs from one region for the benefit of another. While all these water bills died, they provide a clear roadmap of where these legislators – and the powerful political interests that support them – want to go. Their plan is to make water a commodity to be sold to the highest bidder, without regard to the communities or public interests that will be destroyed in the process. We expect an all-out attack on local control of water in the 2017 session. If you have read all this way, thank you! The legislative session can be overwhelming – and the more people who are willing to stay informed, educated, and active, the brighter the future for our movement.